How to Save Money in Singapore? Once upon a time, a million dollars could buy us a fancy condo or even a waterfront villa. We felt pretty much like kings if we had a million bucks. Today the situation is not quite the same. According to this article, we have become one of the world’s most expensive cities to live in and a million bucks can probably buy us a cozy HDB flat in Bishan (see introduction photo) instead of that urban penthouse of our dreams. 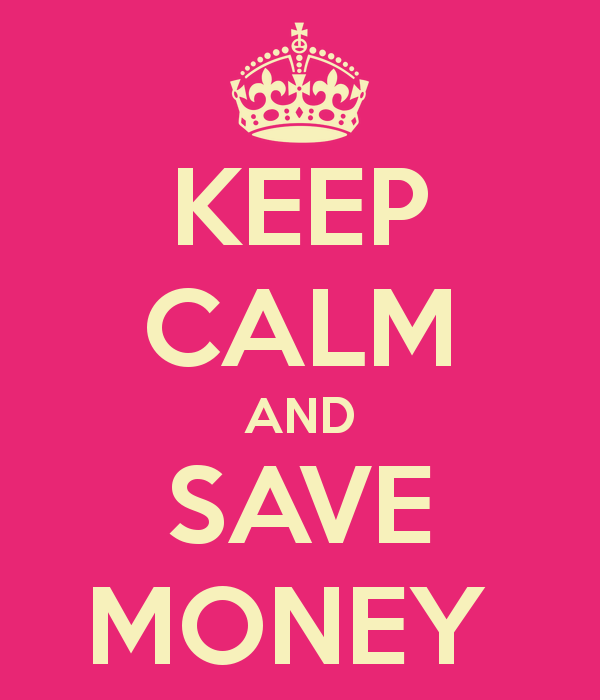 So this sparked my 2015 resolution – save money. I came up with a few easy ways to save money and I thought I could share them here to help you put more money in your back pocket too. Well, girls just wanna have funds! 1) Use money-saving apps like Save 22 to plan your purchases. This app allows you to compare prices of the same products in different locations by simply scanning their barcodes. Now you can be savvy when you shop! 2) Try samples and freebies! Many big beauty product brands tend to give away free samples on their websites/Facebook pages on a regular basis. Try them before you buy them and you’re well on your way to becoming a smart and informed consumer. 3) Get rewarded for shopping! Cashback shopping schemes are all the rage in the UK and US and recently, that trend has hit our sunny island too. Woo hoo! Introducing to you, Shopback, a coupon website that not only features the best deals in the house but also reward you for shopping at your favorite online stores such as ASOS, Zalora and many more! Simply shop on any store via Shopback, then earn your rebates and cash them out through Paypal or bank transfer to your local bank. My best friend, J, has been using their cashback programme for a while and highly recommends it to all shopaholics. Haha! 4) Say no to taxis! Taxi rides in Singapore cost a bomb – we’re one of the most expensive cities in the world remember? However, we also have one of the most convenient public transit systems in the world so make use of it! If you need help, use transport apps like the Streetdirectory app. It helps you navigate around the city with ease by planning your journey, calculating your transportation fares and even recommending interesting places and eateries that are highly raved by app users and bloggers. Borrow them instead! Many public libraries house top fashion magazines like Women’s Weekly, CLEO, Seventeen, Vivi, just to name a few. If you have to buy them, purchase their online or iPad versions instead. It’s cheaper and greener. 6) Use the plastic card! Many credit cards let you earn rewards or rebates when you spend. My most favorite is Citibank’s Dividend Card. Besides dining and shopping privileges, I earn up to 5% cash back on my purchases. (By the way, I’m not paid to say this.) Of course, always remember to be prudent with your credit card spending. You’re supposed to be saving money here. 7) Like that branded bag? Buy it online instead! Luxury websites like Reebonz, Kepris and Brandsfever offer luxury goods at a fraction of their usual price. You can also check out reputable vintage/thrift stores for preowned items. You never know what treasures you’re gonna find. Also, don’t miss out on the special deals offered on these websites. You could use Flipit.com/sg, a coupon portal that aggregates promo codes from online shops, to help you keep track of the latest discounts! Another awesome and up-to-date coupon site that I always consult is http://picodi.sg. On top of popular local online shops, it also displays deals from international stores such as Shopbop, Dazzle, Yoox, just to name a few. And here’s the best part – it also features travel deals from top airlines and hotels! Think SIA, Jetstar, Hotels.com, BeMyGuest and many many more! Well, you can never get enough of coupon sites. We also made it a mandatory procedure in our household to check all Hotels.com deals before we book our vacation destinations. I’m going to Hong Kong in a few weeks and I managed to get a whopping 10% off from one of the coupons on couponzguru.sg/hotels-com-coupons. Woo hoo! 8) Try social group coupons like Groupon! These daily deals websites have helped me uncover many amazing restaurants, salons and stores that were buried in the obscure corners of the island. So before you book your monthly hair salon appointment, try looking up these websites. Who knows? You might find yourself a new favorite salon or hangout. 9) Buy a few wardrobe staples. There are some wardrobe essentials that will not go out of style and they will help you maintain your fashionista status even when you’re broke. Splurge on these instead: Jeans, little black dress (LBD), black blazer, a pair of gold pumps, white button down shirt, brown/black leather bag and a pair of diamond stud earrings (timeless!). 10) Finally, read beauty and fashion blogs like Honeyz! Haha! Many bloggers collaborate with brands regularly to provide you great discounts and giveaways. So follow a few blogs to find out the latest beauty and fashion deals. This will help you cut back on spending and still retain your fashionista and beauty junkie titles. Well, I hope the above tips can help you stash away an extra couple hundred bucks every month. Psst! To help you make more informed beauty purchase decisions, I’ve also developed a full-fledged beauty website called Honeyzcube.com. It will help you discover the best of the world of cosmetics, skincare and fashion and let you experience amazing beauty products and services from trustworthy beauty and fashion brands without breaking the bank. Nice article to read it. It will definitely help girls to save money. But according to me, nobody can stop girls to spend money LOL.